Stella Sofia Marco, 97, passed away peacefully on Saturday at East Longmeadow Skilled Nursing Home. Stella was born December 25, 1920 in Wilbraham to the late Lawrence and Sofia (Walusiak) Panek. 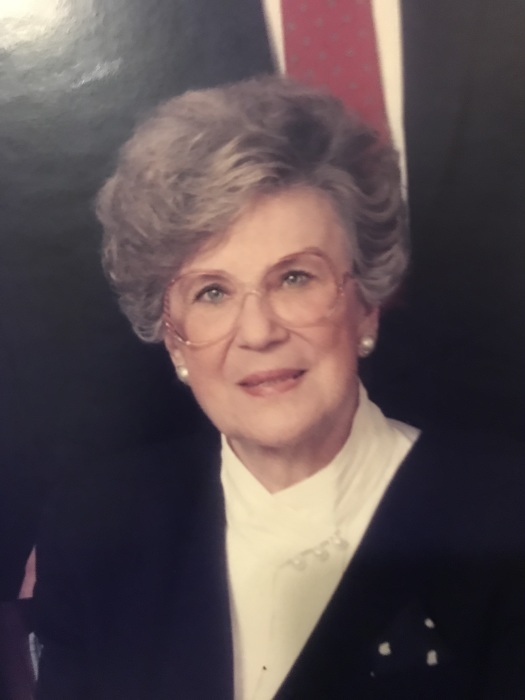 She was a lifelong resident of Wilbraham and attended local schools. She was a communicant of St. Cecilia’s Church in Wilbraham and was active on many town committees. She enjoyed many years working at Casual Corner before her retirement in 1976. Upon retirement Stella and her husband Alexander spent many winters in Spain and traveling Europe. She was predeceased by her beloved husband Alexander W. Marco in 1997. She is survived by her children Dr. William P. Marco and his wife Joan of Glastonbury, CT and Roberta L. Albano and her husband John of Wilbraham. She was the cherished grandmother (Nana) to Judith Gore-Grimes, Kristen O’Malley, and Jonathan Albano and great grandmother to Christopher, Colin, Conor, Chase, Dylan, Aidan, Madison, Ryan and Katie. Calling hours for Stella will be Thursday from 9 – 10:30 at Wilbraham Funeral Home, 2551 Boston Road in Wilbraham, followed by her Liturgy of Christian Burial at 11:00 am at St. Cecilia’s Church, 42 Main Street, Wilbraham, MA. Burial will follow at Gate of Heaven Cemetery, Springfield. In lieu of flowers, memorial donations may be made in Stella’s memory to Baystate Hospice, 50 Maple Street, Springfield, MA 01102. Wilbraham Funeral Home has been entrusted with these arrangements, please visit www.wilbrahamfuneralhome.com for more information.